“A” Players (.850 – .999 average): $210 for USBA Members and $235 for non-members. 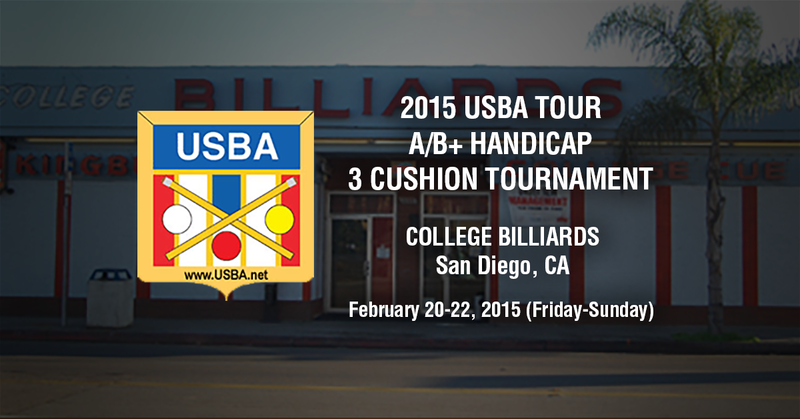 “B+” Players (.700-.850 average): $210 for USBA Members and $235 for non-members. All other players :$160 for USBA Members and $185 for non-members. Player Levels are determined by the USBA and Tournament Director. 4 Groups of 8 players each (round robin) to 25 points. THERE WILL BE NO SEEDING IN THIS TOURNAMENT!!! BLIND DRAW!!! Top 2 finishers from each group advance to finals +1 auction winner and 1 lottery winner = 10 players. Finals = 2 groups of 5 players each (round robin) to 30 points. Final Match = Winner of 1st finals group plays winner of 2nd finals group for the championship. *Format and prize payouts are subject to change based on the actual number of players and the actual amount collected in entry fees and auction and lottery proceeds.